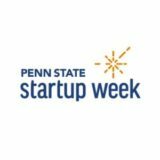 Two weeks ago, I had the opportunity to compete in the first ever Penn State Startup Week Social Innovation Challenge. This competition pitted just over a dozen teams against each other in a chance to create a startup that somehow betters society. It was split into two rounds of judging, with seven teams advancing past the first round to the final round of judging. The challenge is one of the many ways that Penn State and specifically President Barron are using to promote entrepreneurial spirit in the Penn State community. Prior to the competition, I worked with another student for a couple weeks on a startup business plan. Our hope was to find a way to help reduce the mass number of recyclable bottles and cans that end up in landfills after a weekend in State College. 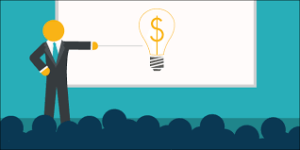 We worked to formulate a sample business plan, create stock images for our proposed iOS app, and create an easily digestible summary of our ideas for our presentation. The biggest challenges we faced along the way were dealing with the specifics of how the finances were going to work out. It was a difficult task, as many of the bottle distributors and recycling centers we called were unwilling to divulge information we needed to better understand the recycling process. After we made it past the initial round of judging, we had to add three additional team members from the spectators that had watched us pitch for the first time. They were able to join the team for the final week and add their input, which helped us gain fresh perspectives. One of them in particular had extensive experience creating apps, which was a huge help with our concept plans for our app. There were two separate days of presentations. The first was a simple 60-second pitch, followed by a couple minutes of questions from audience members. We did not have any visual aids, or anything beyond our own voices. As it turned out, our idea was a little difficult to communicate in only 60 seconds, and we could have done a much better job of condensing our explanation. That being said, the format allowed us to quickly convey our idea, as well as receive valuable feedback from the audience. It also granted us the opportunity to learn which parts of our plan needed more attention and work. We ended up placing 4th out of the approximately 12-14 teams that competed, and advanced to the second round. The second and final round was comprised of a recorded presentation, followed by questioning by a panel of three judges. In the morning, each team recorded themselves presenting their idea with a visual aid (commonly PowerPoint), and then submitted to the judges for grading. We all had the opportunity to see several brilliant ideas, and learn from one another. As a whole, I would call the Social Innovation Challenge a huge success. It accomplished what it said out to do– provide a place where Penn State entrepreneurs could gather, share ideas, and help each other improve. Throughout these few weeks, I saw our startup idea completely transform in structure and vision several times, as it underwent the reviewing and scrutinizing process. Our team has come out of the competition with a stronger idea of where we want to go with this in the future, and how we can build on the ideas we’ve had. In the future, I hope to see the Social Innovation Challenge continue to return to Penn State. It will provide opportunities for future entrepreneurs to “test the waters” in a comfortable, friendly environment. One of the most encouraging developments I saw with this was the wide variety of ages and class standing, majors, and diversity of thought. Everyone came from different backgrounds, and I heard many ideas that sounded completely foreign to me. The entire challenge has been an excellent learning process for all those involved, and I look forward to seeing it grow in the future.